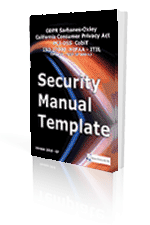 Malware Impact on Security - Malware infections cause a number of problems. Machines become unresponsive or sluggish resulting in users become frustrated and administrators spending precious time trying to find the problem. When a machine is infected, some administrators often want to simply re-install the operating system, however a responsible system administrator or security analyst would want to investigate and assess the situation before doing anything else. All of these tasks take time and resources. People have to stop working, the hardware has to be replaced and so on. Additionally, some malware creates a denial of service by design, increasing the possibility of an attack on the organization's infrastructure. While most organizations understand denial of service very well - since it impacts productivity - many ignore the impact on confidentiality and integrity. Attackers are known to harvest sensitive information from compromised computers to carry out further and deeper attacks within the network. If they access the organization's data they can use this to sell to third parties and make a profit. Modern malware can create an automated process to harvest information from a network that has been breached. Once an attacker is on the inside, his or her work is significantly easier since on most networks, systems on the inside are trusted. This is what makes attacking web visitors through infected websites so attractive to the bad guys. End-users and their web browsers are already on the internal network. Unlike traditional network-based attacks, the victim connects to the attacker instead of the other way round. Even today, most defenses are still focused on preventing attackers from trying to connect to the victim, i.e. protecting the perimeter. 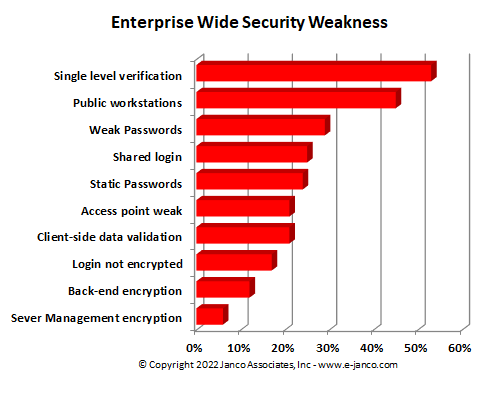 In a review of 138 enterprise audits Janco has identified top security flaws in “enterprise” web sites. The most common security mistakes that are made on corporate web sites have been identified Janco Associates of Park City, UT.